"Non barking dog can be achieved by selecting a non barking breed in the home, training, a calming natural therapy and as a last resort debarking surgery. Barking is natural for dogs although some dogs through breeding have a calmer personality and rarely bark." 1. Breeds: Some breeds are not known for barking although they could make other sounds. 2. Temperament: Some dogs might have a quiet personality, regardless of breed. 3. Training: Dogs can be trained not to bark or taught to only bark in certain situations. 4. Surgery: Although used as a last resort, owners that have used a surgical procedure called debarking to prevent their dog from barking. 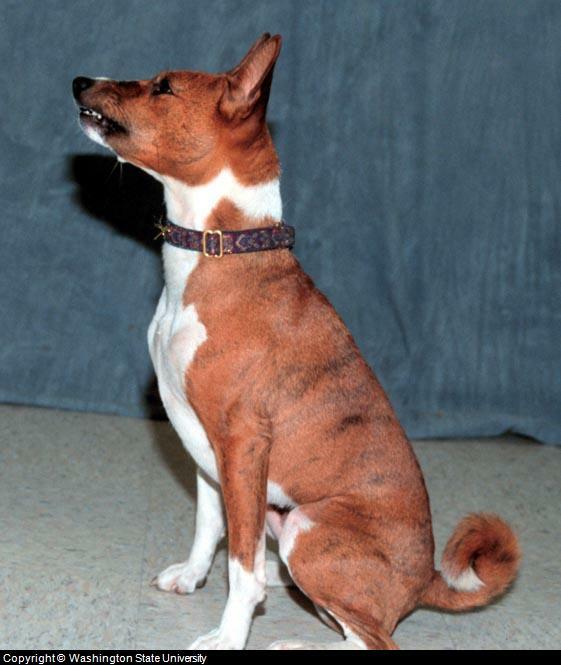 The Basenji is a dog that does not bark. They make other sounds that might be more acceptable to the owner such as howls or crows. Other breeds that are thought not to bark probably can, but due to breeding and personality choose not to. Separation Anxiety: When you leave the house your dog barks as a nervous gesture. Training involves distracting your dog with a treat filled Kong Toy before you leave and teaching your dog that you will return. Aggression: Some dogs naturally bark at other animals. Treatment involves blocking your dog's view of the trigger, moving your do to another room or using a device outside the house that prevents animals from entering your yard. Strangers: The goal of training is to desensitize your dog to the presence of others. Behavior modification training includes moving your dog to another room when strangers are in the house to slowing introducing your dog to the idea of strangers and then rewarding the behavior with affection or a treat. A no bark dog training collar is most effective with dogs that are barking because it is a natural tendency vs. barking due to anxiety or fear. Once the barking behavior is learned your dog should be rewarded with affection such as sitting at your side or a treat. Studies show that the collars are effective between 80% - 90% of the time, are considered safe and do not increase the anxiety of your dog. For anxiety or fear you might want to try a natural nervous system calming remedy such as PetAlive PetCalm Formula for anxious and stressed pets or even consider the possibility of anti anxiety prescription medication. You can discuss these options with your veterinarian. There are several indoor and outdoor devices that use a loud sound or ultrasonic sound (cannot be heard by humans) to stop barking. The devices are automatically activated in order to stop dog barking. Outdoor devices are a popular way to stop neighbors dog barking, particularly when a dog is next door. Indoor devices are convenient and do not require the use of a collar. Devices also work when the home owner is not present. Debarking is a surgical procedure performed by a veterinarian under general anesthesia. It involves removing some tissue from the dog’s vocal cords. The vocal cords are not removed altogether, though. A debarked dog is not truly a non barking dog, despite what the name implies. Debarked dogs can still make noise; their “barks” just sound like whispers or small coughing sounds or squeaks. Debarking is a controversial matter. Opponents object to dogs being subjected to “unnecessary” surgery. They believe dogs can be trained not to bark instead. They are concerned that dogs will be psychologically damaged by the procedure. Before going the surgical route it might make sense to consider a professional dog trainer to see if behavior modification therapy will help. Whatever your choice, your veterinarian can be a great source of information. Have A Dog Behavior Question or Story? 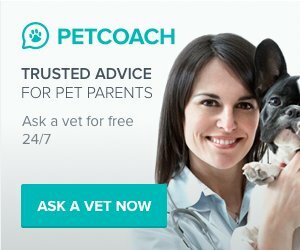 Do you have a question for our veterinarian about Dog behavior? If yes, we will answer it for free. Please do not type in all capital letters.